In May 2001, Newsweek ran the headline ‘God & the Brain’. The magazine featured a series of articles on the new ‘neurotheologists’ who are attempting to chart the connections between mystical experience and brain patterns, hoping to answer the ‘question of consciousness’. “One Sunday morning in March 19 years ago, as Dr James Austin waited for a train in London, he glanced away from the tracks towards the river Thames. The neurologist — who was spending a sabbatical year in England — saw nothing out of the ordinary: the grimy Underground station, a few dingy buildings, some pale gray sky. He was thinking, a bit absent-mindedly, about a Buddhist meditation retreat he was headed toward. Sharon Begley’s article went on to state that scientists are beginning to use brain imaging to pinpoint the circuits within the brain that are active when people meditate or enter periods of deep prayer. Current scientific thinking has us experiencing a sense of ‘cosmic unity’ when the parietal lobes quiet down, manifesting ‘spiritual emotions… of joy and awe’ within our middle temporal lobe, and having our intense periods of concentration, such as in meditation, linked to our frontal lobes. Notwithstanding the above, Buddha drew a clear distinction between our body and our mind. Although the two are related, he said, they are not the same thing. The mind is not the brain, and the brain is not the mind. The brain is physical, whereas the mind is formless and functions to know objects. In fact, Buddha explained how our deepest levels of consciousness do not depend upon the body at all. 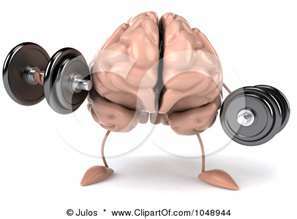 Some people think that the mind is the brain or some other part or function of the body, but this is incorrect. 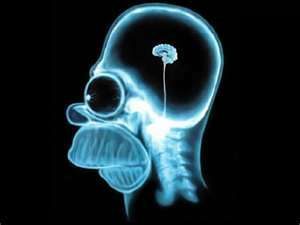 The brain is a physical object that can be seen with the eyes and that can be photographed or operated on in surgery. The mind, on the other hand, is not a physical object. It cannot be seen with the eyes, nor can it be photographed or repaired by surgery. The brain therefore is not the mind but simply part of the body. There is nothing within the body that can be identified as being our mind because our body and mind are different entities. For example, sometimes when our body is relaxed and immobile our mind can be very busy, darting from one object to another. This indicates that our body and mind are not the same entity. In Buddhist scriptures our body is compared to a guest house and our mind to a guest dwelling within it. When we die our [deepest level of] mind leaves our body and goes to the next life, just like a guest leaving a guest house and going somewhere else. If the mind is not the brain, nor any other part of the body, what is it? It is a formless continuum that functions to perceive and understand objects. Because the mind is formless, or non-physical, by nature, it is not obstructed by physical objects. Thus, it is impossible for our body to go to the moon without traveling in a spaceship, but our mind can reach the moon in an instant just by thinking about it. Knowing and perceiving objects is a function that is unique to the mind. Although we say `I know such and such’, in reality it is our mind that knows. We know things only by using our mind. When I do this, consciousness of my mother (let alone any non-dual experience of anything transcendent such as the illusory nature of all phenomena or the experience of blessings) does not feel like anything physical at all. Thought exists in a different dimension altogether — the formless dimension beyond the physical, without shape, color, spatial boundaries, tactile properties. Invisible, but the creator of reality. Immaterial, but mattering a great deal. Moreover, when we refer to ‘my body’, we do not feel as if we are talking about ‘my mind’, and vice versa, which clearly indicates that we know first-hand that they are not the same. We may have the figure of speech “My brain hurts”, but we also talk about our mind, feelings and experiences all the time, and I would argue that when we do we are not even casting a sideways glance at our brain. If you’re feeling depressed, do you have the notion “My brain is depressed”? If you really want something, does it feel like “My brain really wants that!”? I personally think that we are not born with a belief that our mind is our brain. I think it is a so-called “intellectually-formed delusion” that we acquire due to incorrect reasoning and/or other people telling us. Often we don’t question this conventional wisdom and assume smart people know what they are talking about when they say the mind is the brain, even though it provides far more questions than answers. In struggling to answer the ‘question of consciousness’ and how the mind relates to the body — which arose when the materialist view of Descartes and his followers took hold of Western philosophy — rather than simply accepting that mind and body are different natures and taking it from there, scientists have tried to answer the question by reducing consciousness to the purely physical. We are blinded by science: this reductionism obscures our own direct experience, based on the false premise that mind and body cannot be different natures. We are cheated out of an understanding of the formless continuum of our mind, with dire ramifications for our spiritual beliefs such as life after death, the existence of enlightened beings, and the possibility of infinite mental and spiritual development and bliss. There is not and never will be a magical chemical concoction or brain operation that will lead living beings to full spiritual awakening. 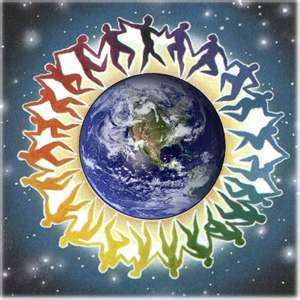 Finding a permanent way to quieten our parietal lobes is no guarantee of ‘cosmic unity’! And even if these things were possible, they would be pointless. Meditators, on the other hand, are scientists of the mind who spend their lives investigating the nature of consciousness from direct experience (something that can be done only by using mental awareness, not crude physical instruments) — and they have clearly understood that the mind is not anything physical. There may be some relationship between certain types of mental awareness and the brain, as there is between sense consciousness and our sense faculties (the eyeball, nose, etc); but the fact that two things have a relationship proves that they are two different things, not the same thing e.g. a driver affects his car, but is not the same as the car. People tend to put their hands to their hearts, not their heads, to indicate deep feelings of love there. When we meditate deeply, our consciousness feels seated at our heart. In his Tantric teachings, Buddha explained that our mind is related to subtle inner energy winds that can be said to have locations within the body — we have conceptual thoughts related to the winds in our crown chakra (perhaps why we scratch our head when we’re confused!). Our minds of attachment are related to winds in our navel chakra (hence those butterflies!) We have love and wisdom related to winds in our heart chakra, which is also the seat of our deepest level of mind. Stories abound in Buddhism of great meditators, such as Geshe Kelsang’s Spiritual Guide Trijang Rinpoche, who remained warm and upright for days after their brain was dead, meditating on the clear light of bliss at their heart. You can find out more about all this in the Tantric books. To gain experience of the nature and function of your own mind, you can try out this meditation: How to meditate on the peaceful clarity of your own mind. 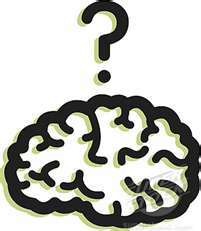 Do you think it matters whether or not Westerners are taught that the mind is the brain? Have you had any experiences that convince you that it is not (or that it is!)? I look forward to your comments.